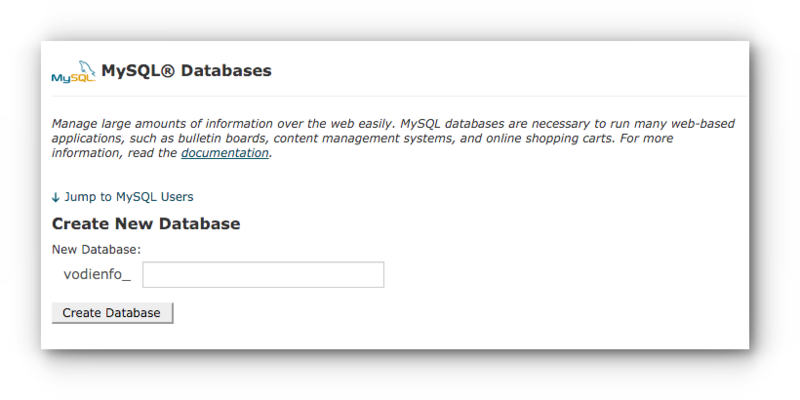 Home/Knowledge Base/Web Hosting/How to create a new MySQL database user? 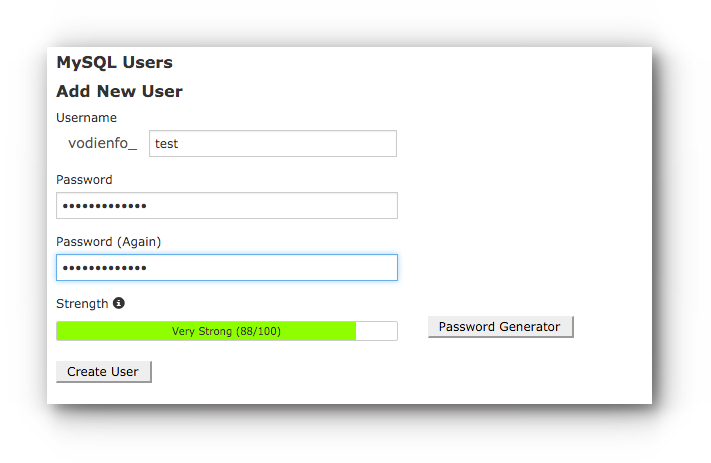 How to create a new MySQL database user? 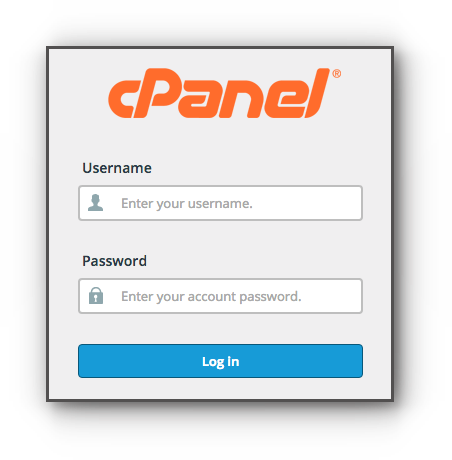 Having multiple databases will allow you to manage large amounts of information over the web easily. 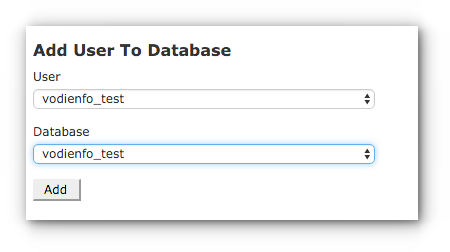 If you wish to create a new MySQL database and user, please follow the steps below. Step 6. 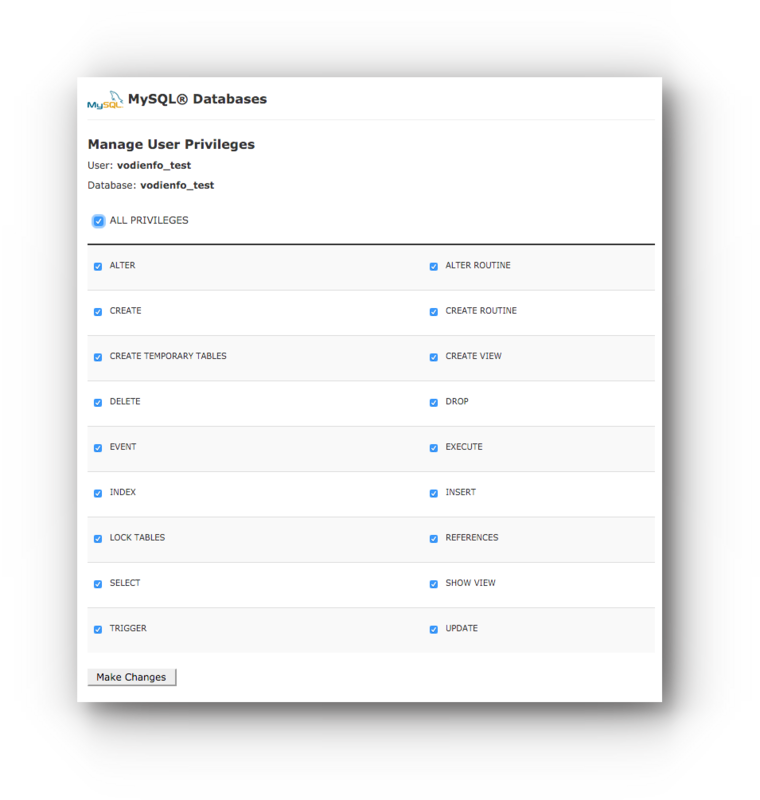 Click on the check box for ALL PRIVILEGES and click Make Changes button.